In the early 90’s I was just beginning to really get stirred up about God’s spoken Word, mainly because I was beginning to understand the principles behind it, and not just mindlessly reciting something that I had no understanding of. I had an 8 page list of confessions from God’s Word that I would read out loud and declare over my life almost daily. I knew that saying what God said about me would help reinforce my identity in Christ and I was doing my best to grow into who He made me to be. One morning as I was making these declarations, the Lord spoke to me and asked, “What are you doing?” I was quiet for a few seconds and then answered, “well, ummmm… I am confessing your word Lord.” He replied, “You are applying Truth Pressure.” That was the end of that conversation. principle in His Word. Any Word that you hear by the Spirit must line up with the written Word or it is not valid. I knew that God’s Word had power, and I knew there was great power in the spoken word, but it wasn’t until I began to understand the grace of God that I saw what Truth Pressure meant and understood why confession works. So lets take a few moments to make sure we understand grace and how it is connected to what we say. In the book of Ephesians, we see a wonderful truth concerning our speech. This verse is talking about words, that minister grace to the hearer. Since we are always the first one to hear our words, I recommend we take a long look at what is coming from our lips. Is it corrupt or is it grace? Is it faith, or is it fear? Is it blessing or is it cursing? Does it edify or tear down? What kind of influence does our words have in our life? 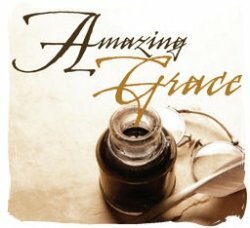 What exactly is grace? The best definition that I have found is, “The divine influence upon the heart, and its reflection in the life.” Grace is Gods way of working on you from the inside out. The word of God that is spoken, and heard, ministers to us on the inside in such a powerful way that it transform us and changes our life. Everything that God has prepared and provided for us, can be found in the truth of His word. Truth is full of grace, and grace is divine influence that brings transformation. We need to be speaking His word, if we are going to become what He has created us to be. By declaring God’s word, we set ourselves in agreement with Him and establish a stronghold of truth about our identity in Christ. Till I make Your enemies Your footstool”? 14 Are they not all ministering spirits sent forth to minister for those who will inherit salvation? We have angels assigned to our life. Their whole purpose is to minister on our behalf. When we give voice to God’s word, the angels take heed to it and get busy bringing that word to pass in our lives. I think it would be a tragedy to have a bunch of angels that are unemployed, twiddling their thumbs just waiting for us to speak life and grace that they might do what they are created to do. Let’s put them to work! Let’s look at Ephesians 29 again and we will add verses 30 and 31. In other words, if you are not speaking words that edify, ministering grace to those who hear them, including yourself, you are grieving the Holy Spirit. I know,………….OUCH! James 3:2-4 ~ For in many things we offend all. If any man offend not in word, the same is a perfect man, and able also to bridle the whole body. 3Behold, we put bits in the horses’ mouths, that they may obey us; and we turn about their whole body. 4Behold also the ships, which though they be so great, and are driven of fierce winds, yet are they turned about with a very small helm, whithersoever the governor listeth. The word “perfect” in verse two simply means mature, or of full age. maturity is measured, in great part, by your mouth and how you control it. As we see in the above verse, our tongue is the steering wheel of our life. If we put our hands on the wheel, we can take control of our life and direct it down a path that leads to life, happiness and fulfillment. I think too many of us are driving down life’s road and saying, “Look Ma! No hands!” letting life speak louder than truth and allowing the facts of life to define us instead of the word of truth. The bible is very clear that our words have tremendous power. When it is God’s Word we are speaking, we have the power to minister His life and grace into the situation. Confession of God’s Word applies “Truth Pressure” to your heart. God’s Word is filled with divine influence (grace) that feeds and strengthens your spirit man until it that truth shows up in your soul and body and is reflected in your life for all to see. 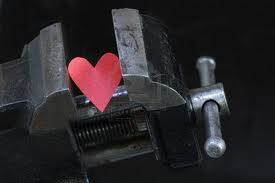 Change will always come first in the heart before you see it manifest in the natural. Everything in the Kingdom of God starts in seed form, including God’s word. So make a decision to plant some seeds of life and grace in the garden of your heart today. YOU ARE WORTH IT!